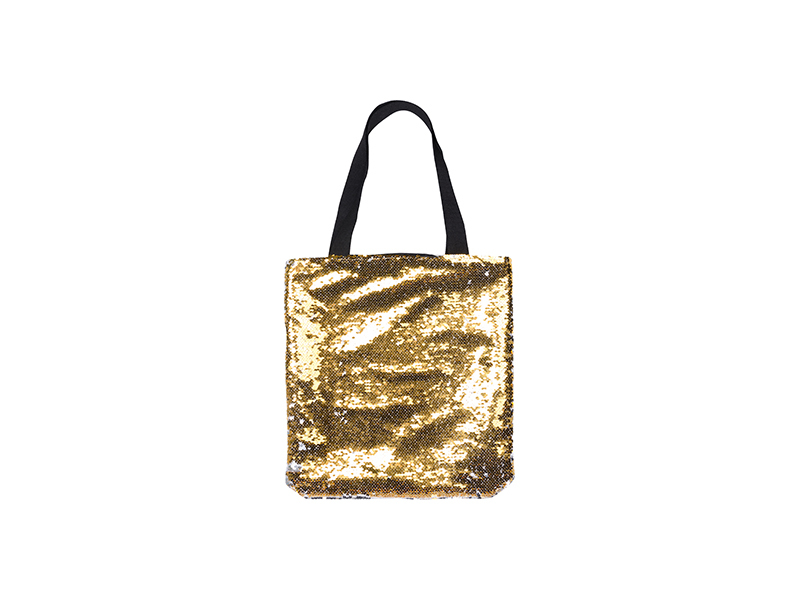 Sequin double layer tote bag, made of sequin fabric and linen, 35*38cm. 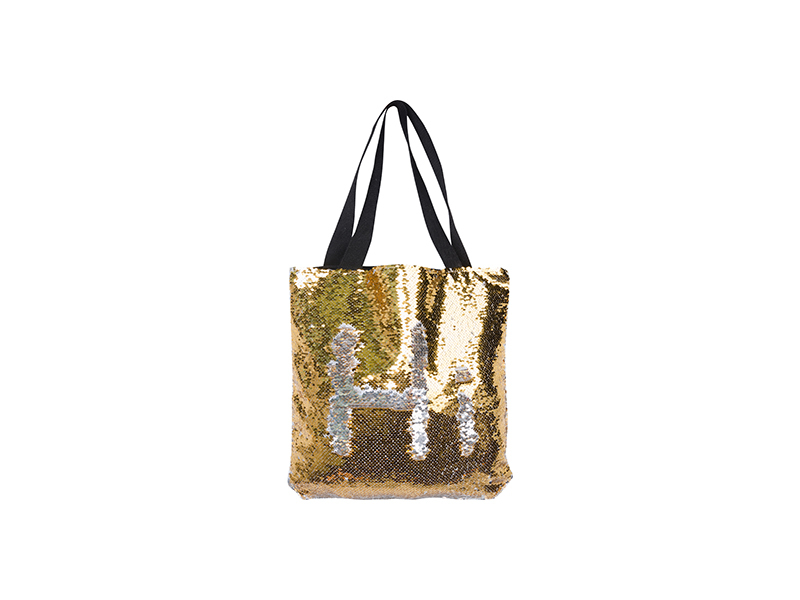 The sequin tote bags are comprised of 2 tone sparkly sequins perfectly overlapping each other on the face, and the back side of durable linen fabrics, and available in four color schemes of sequins for you to choose. 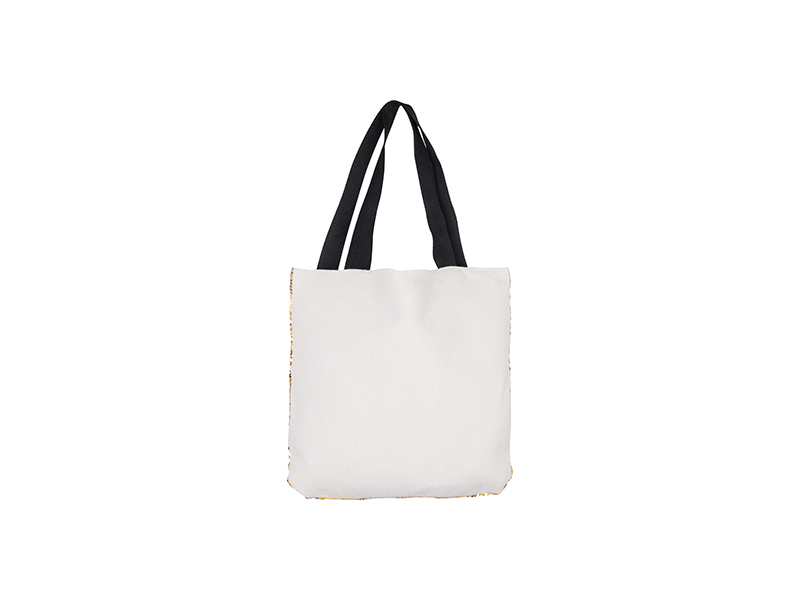 It can be an attractive and practical daily companion for you. 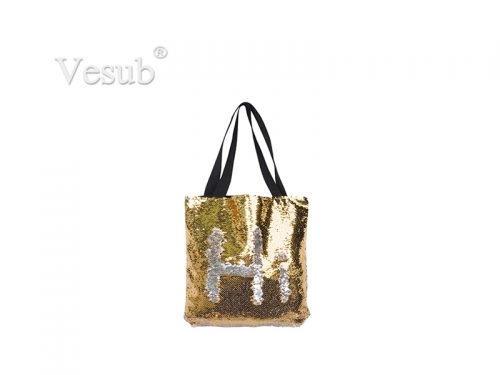 For personalization, the sequin sides can be imprinted with images by sublimation printing. 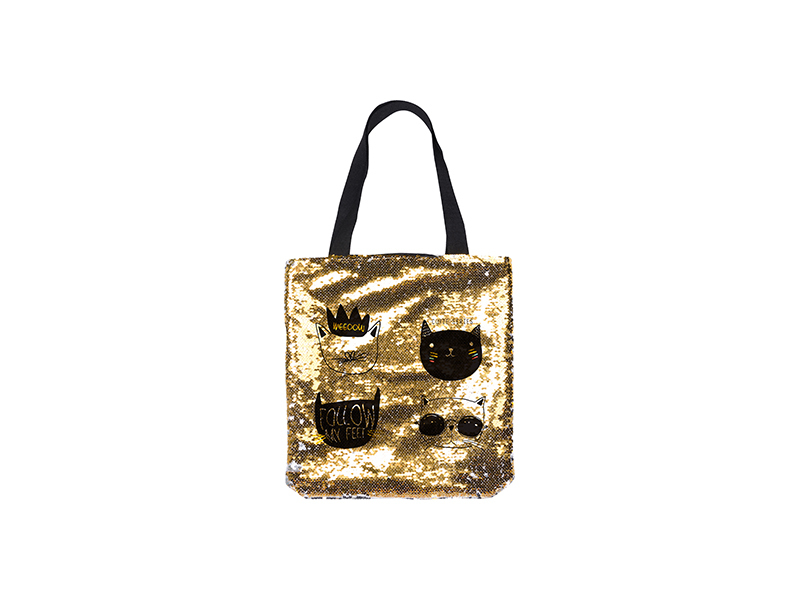 When you slide your fingers across the sequins, the images will be changed, and the sequins will be flipped to give another tone. 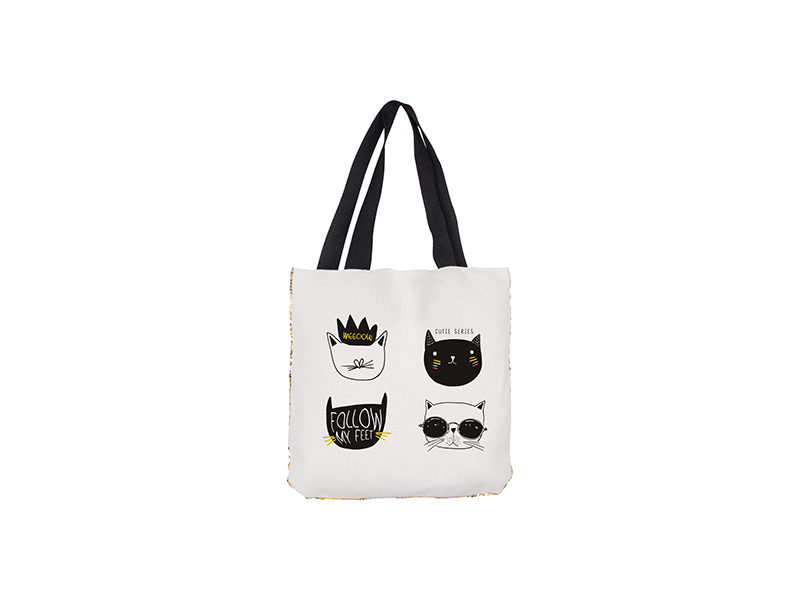 Also, you can create your designs of letters, monograms, or shapes on the images simply with a slide of fingers.